Whether brought about by natural or manmade factors, water could cause a lot of damage to our households. Floods, pipe leaks, and firefighting countermeasures can deposit a lot water on our floors, which can then cause damage to our carpets. The fibers of the carpet are meant to absorb and lock air packets to maintain a warm temperature. When water gets to the floor, the fibers easily absorb the water and hold it in. The water that is held up then provides ideal conditions in which molds, spores, fungi, and other damaging material can flourish. The growth of the mold, spores, and fungi will cause further damage to the carpet. For instance, mold could be hazardous to your health because it might cause respiratory problems. The following are some of the tips that you can apply in your household or property to save your carpet from water damage. The first step after a flood has occurred is to drain all the water from the rooms. This helps to ensure that no further damage will occur. After removing the water, make sure you dry the adjacent walls and ensure they have been cleaned. Drying the carpet is the most important process in ensuring you salvage your carpet. Drying ensures that all the moisture is released back to the environment. Drying the surface helps to prevent the molds from growing. Molds have been known to start growing as fast as 24 hours after the water contamination has occurred. You can dry the carpet by either setting it outside in the sun or taking to a facility that offers such services. If you decide to dry it inside the house, you need high-velocity fans and a dehumidifier. The fans and the dehumidifier should be left to run until the carpet dries. Then run them for an extra 24 hours to ensure all the moisture is gone. The next important step after drying up the carpet is making sure it’s clean. Although drying the carpet removes the water, certain materials and dirt can still be trapped in the carpet. These elements may lead to decoration or decay of the carpet. Shampooing can be done by applying shampoo on a wet cleaning sponge and rubbing the carpet with it in a circular motion. Rub the sponge from one section of the carpet to another, ensuring that the shampoo penetrates the fabric and all debris deposited within it has been removed. Change the cleaning water once it gets dirty to avoid re-contamination. Water should also be used sparingly while cleaning because it can cause further damage the carpet. Make sure to dry the carpet thoroughly after cleaning. Remember some carpets may appear dry on the surface but still have moisture trapped inside. If your carpet is exposed to water and remains wet for a long time without being attended to, molds and other bacteria’s will start growing on its surface. The best way to kill such bacteria’s is by applying chemical cleansers. If not removed in a timely manner, the bacteria and fungi have been known to cause secondary damage to other household items. When drying the carpet, avoid contacting it while it is still wet. Contacting the carpet include walking over it or placing furniture or other items above it. 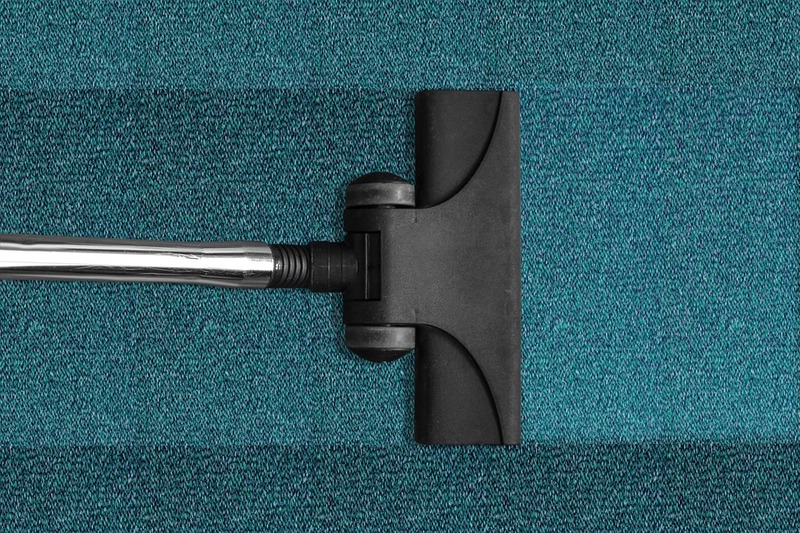 Walking over the carpet or moving items over it can cause a contamination that can lead to the growth of other molds or development of stubborn stains. If the task proves to be too much for you, as sometimes will, make sure you call in the experts to handle the job. The professionals usually have the tools and the skills needed to handle the job properly and safely. Most of them specialize in a certain area such as water damage restoration. Hiring professionals can help to identify and solve problems that might arise in the future due to the water damage. Such problems may not be identifiable by a non-skilled worker but most professionals have been trained to look for signs of additional problems that may arise. Finally, ensure that the cause of the water leakage has been addressed to prevent future problems.